Local Chapter of the NCSBA serving Lenoir, Jones & Greene Counties since 2006. 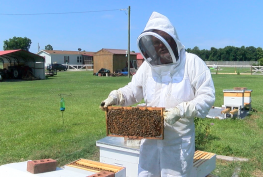 Congratulations to Jim White of Neuse Regional Beekeepers! 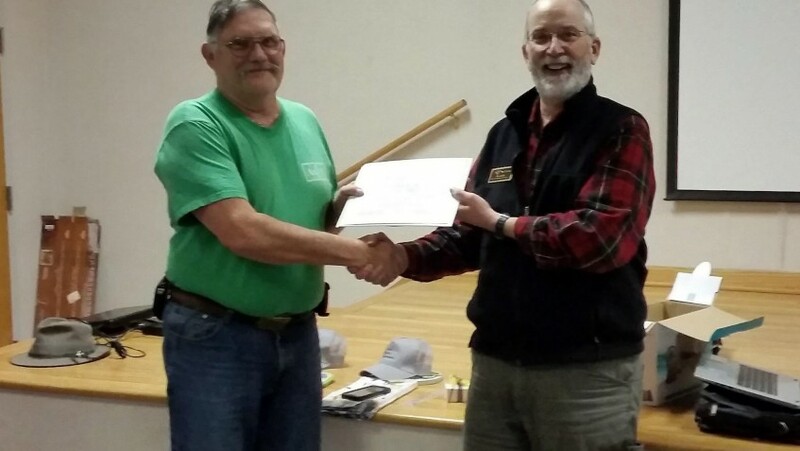 Jim (left) has earned his NC Master Beekeeper Program Journeyman Level and was recognized for his achievement last night at our monthly meeting. His certificate was presented by Bob Gaddis, North Carolina State Beekeepers Association Treasurer. 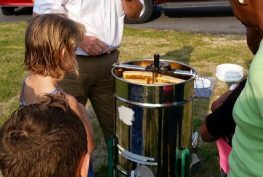 Bee Friendly, Celebrate National Honey Bee Day with the Neuse Regional Beekeepers! Neuse Regional Beekeepers (NRB) was chartered in 2006 as a local chapter of the North Carolina State Beekeepers Association (NCSBA), and serves Lenoir, Jones & Greene Counties in Eastern North Carolina. Our chapter has won the NC State Beekeepers Association's Golden Achievement Chapter of the Year twice (2010 & 2015). 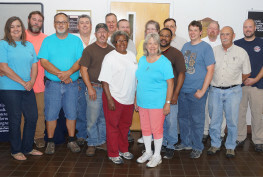 © 2015-2019 Neuse Regional Beekeepers, All Rights Reserved. Website by Edge360 Creative.